after disastrous coordination we bring you………. in co-operation with 17Rec. 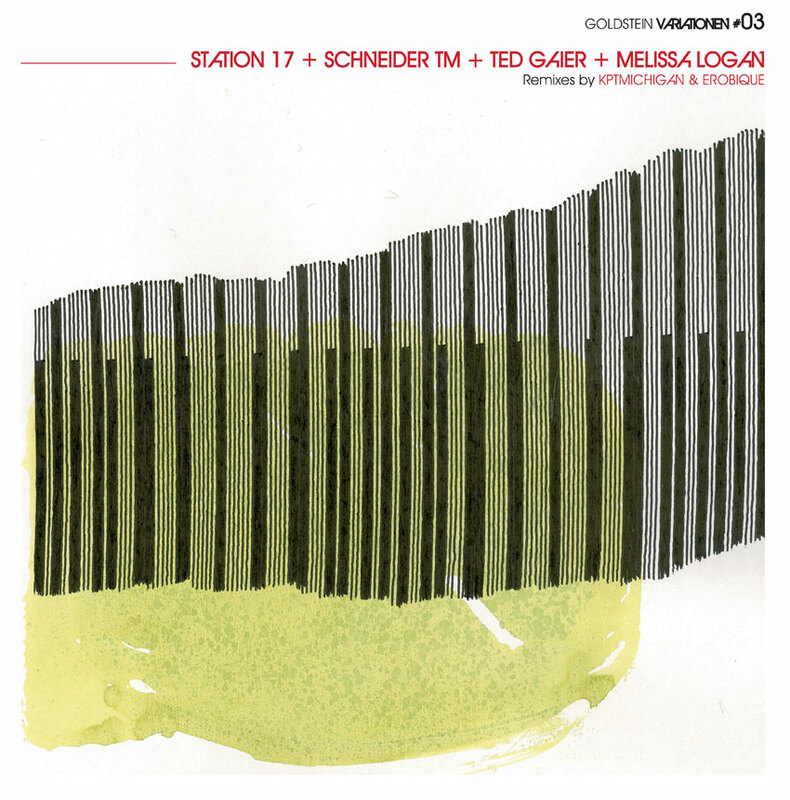 we proudly present the digital version of Station 17`s Goldstein Variationen 3…….plus a little extra. To put it loosely, Station 17 is an abled and disabled persons music collective. Please go here to hear more, it`s a mighty fine project. And whilst you`re at it, check out Atelier Goldstein (a similar concept based in Frankfurt for visual artists) who are responsible for the artwork for the Goldstein Variationen. To preview or buy, please click on the image. Whilst we were in the studio in Hamburg, we managed to record more than a good hours worth of material with Station 17. The Station 17 and Schneider TM song Jede Nacht evolved from these sessions but obviously, there was a lot more material left. We decided to slightly edit and mix the rest and thus, we had the Goldstein Variationen 3 REDUX…….a whole album`s worth of intense freeform sound. Buyers of the physical 12inch will find a coupon inside which enables them to download the digital version plus the redux version for free (of course these are available as downloads without having to buy the 12inch first).